Sleuth your way to the Best Bargains with Singtel’s UnexpecTech Deals! IT Show 2015 is in two weeks’ time – and it’s a great time to browse and shop for the latest gadgets and find the best bargains. But if you are like me, tired of the thronging crowds and pram pushers, how about starting the gadget bargain hunt online? 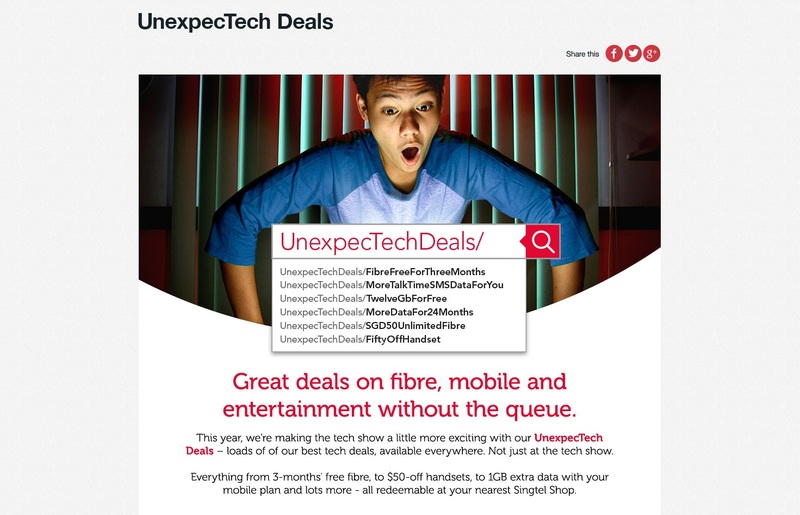 Singtel wants to help you do just that – with their UnexpecTech Deals. You would need to put your detective skills to the test as Singtel has a great bunch of deals such as “Free data, extra talk time, free 3 Months Off subscription, $0 phone specials and Xiaomi Powerbanks” hidden in puzzles on their website. Search and use your brain power to crack some challenging puzzles and riddles that Singtel have set in place. Fun and excitement is guaranteed, and it’s even better with the chance to walk away with freebies and awesome deals. You don’t even have to wait till the start of the IT Show. It pays to be the early bird here as some of the better deals are time-sensitive. So start your sleuthing right now! Still with me? Let me share with you on my initial experience so far. The folks at Singtel have definitely put in some effort to this game. There are clues all over, but you would need to gather your wits about you and remember, be fast! Hint: One of the world’s biggest gadget makers and catch phrase is Mr. Cruise movie. Also, last bit of advice, don’t miss out on the social media hashtag #UnexpecTech deals too. Everyone loves a good bargain and it is great that Singtel is making it fun at the same time. The deals apply even if you are not a Singtel user so I would recommend giving it a go. Found any more hints? Won an awesome prize? Share with us in the comments. This message is brought to you by Singtel. The Galaxy Tab deal looks the best for now!